Linkedin Marketing Success Ebook and Videos MRR is loaded with all you need to profit from a hot niche with a huge upsell and master resale rights to sell all you want. Extras: Upgrade package with video’s, upsell page, and more. The Internet’s impact on business over the years has been, and continues to be, profound and ubiquitous. It has enabled what were once, local and small industries and businesses owners to reach people around the world. Businesses can no longer define their competition by geographical boundaries or a level playing field where all players are bound by the same rules. Major market disrupters like Airbnb, Uber, Netflix, and Alibaba are turning what were at a time considered A-grade business models into relics of the past. The impact is set to continue, even more rapidly, over the next several years. For many companies, it will mean an even tougher business environment. There will continue to be more disrupters emerging, which will become agile and nimble businesses that will dominate the markets. There will be more start-ups with savvy entrepreneurial backing that will become overnight successes. LinkedIn has emerged as one of the main powerhouses on the Internet for business leads and sales and now has more than 500 million users around the world. The business networking platform was started in 2002, by the founder of PayPal, Reid Hoffman. The company has seen steady growth since its official launch in 2003. LinkedIn has earned a reputation as the social media platform that entrepreneurs can use to find the right buyers and quality leads online. LinkedIn stands out from the other social media platforms, because the majority of LinkedIn members log into LinkedIn with the intention of networking with other like-minded individuals. One of LinkedIn’s greatest benefits is its ability to enable entrepreneurs to connect with small business owners, CEOs, VPs, key decision makers, other entrepreneurs, and potential customers. The professional networking platform gives entrepreneurs an effective digital platform for finding and engaging with their ideal customers and to build a sustainable business relationship with them. Unlike decades past, LinkedIn allows you to research companies and locate the decision makers without having to resort to spending your days cold calling. LinkedIn allows you to engage with your ideal prospect through groups and recommendations from your first-degree contacts. This new strategy, also known as social selling, hasn’t been fully embraced by the business world yet. However, those businesses that have embraced social selling and integrated those strategies into their sales process have yielded greater benefits. Understanding how to utilize LinkedIn as a business can create a substantial difference in the number of highly targeted leads that you can generate. 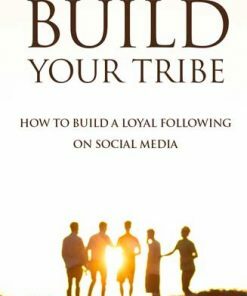 If you aren’t already using LinkedIn marketing in your online marketing strategy, the following chapters will show you how you can optimize your LinkedIn profile and use its unique features to generate more targeted leads and dramatically increase sales for your business. The networking opportunities afforded by being a member of LinkedIn are invaluable, and the marketing opportunities are vast. 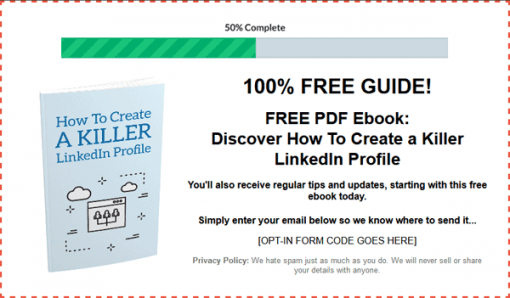 Ebook – A 69 page PDF that details hwo to use linkedin to generate targeted leads and dramatically increase sales for your business. From beginning to end, it’s all covered. Since it’s PDF, you’ll know your buyers won’t have any problem consuming and learning from the content. Sales Page – You’ll get everything you need to resell the Linkedin Marketing Success Ebook and Videos MRR book. Since it comes with master resale rights, you can resell as many copies as you want and you get to keep 100% of the profits on every single copy you sell. Comes with a modern and professional sales page with a matching download page. Just insert your payment link and your product download link, upload the two web pages and it’s ready to make money for you on auto-pilot, even while you are sleeping. Checklist – A 6 page PDF report that will help your buyers follow the content in a simple and easy to understand format, step by step that they can check off each step as they go and have a much better chance of finding success with their linked in marketing. 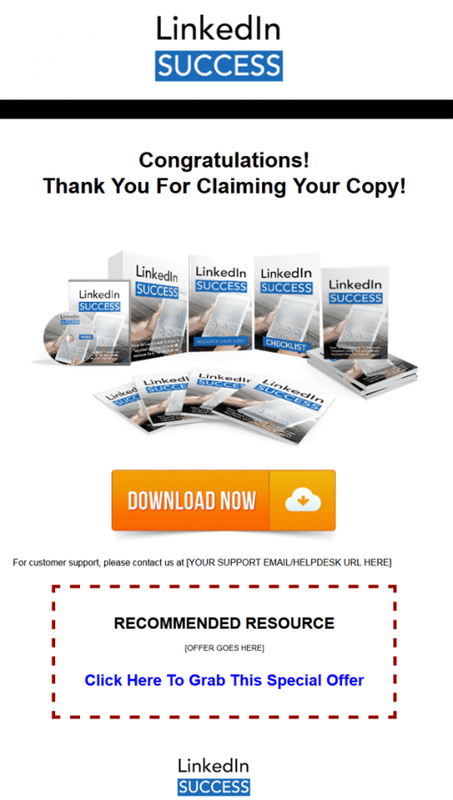 Resource Cheat Sheet – A 9 page PDF that lists Linkedin Marketing Success Ebook and Videos MRR resources your buyers can follow the links and get a head start on creating their own successful linked in presence. Mind Map – Gives a useful overview or a visual of the Linkedin Marketing Success Ebook and Videos MRR system, so your buyers can see the big picture and better understand the concepts. In 3 different formats, HTML (web page), JPG and PNG It can help your customers to “get it”. Plenty of visual learners out there that will appreciate it. Squeeze Page – High Quality and modern opt-in page with a progress bar to help encourage sign-ups and increase conversions. 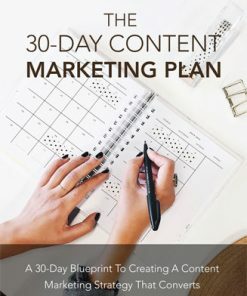 You will also be getting a lead magnet,10 page PDF, “How To Create A Killer Linkedin Profile”, to build a list or email subscribers quickly and easily. Just copy and paste your autoresponder opt-in code into the squeeze page, upload and it’s ready to build you a list on automatic. 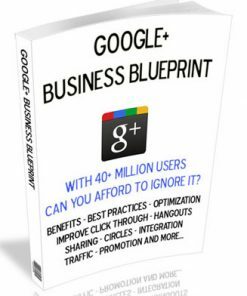 Includes a thank you page for your new subscribers to download the free report. 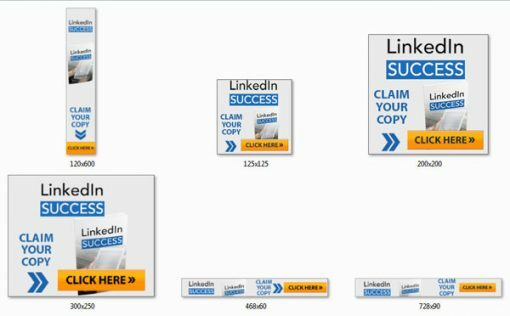 Promotional Banners – 6 professional Linkedin Marketing Success Ebook and Videos MRR banners you can use to drive buying traffic to your new sales page. In the popular sizes of 120×600, 125×125, 200×200, 300×250, 468×60 and 728×90. In both JPG and GIF. Just add them on your blog or website and link to your sales page. It’s as simple as that. Drive more traffic and sales. The Perfect sizes for many blog sidebars or headers. Articles – 10 quality articles all related to online membership sites. Perfect content to use for promoting your new product. They come in both text and Word DOC formats. Copy and paste ready to use on your blog or website. You could also use them as email messages. Content that is pre written and ready to use. All the titles are listed below. 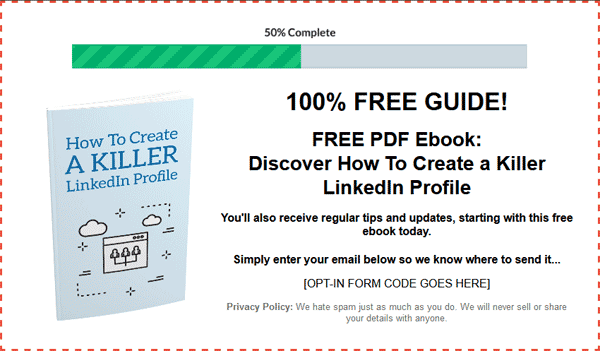 Social Media Images – 10 quality Linkedin Marketing Success Ebook and Videos MRR package JPG images for your social profiles to draw in buyers from the large social media websites. Each Image has a background image with a text quote overlay. All In JPG format. Just post them on your social networks with a link to your sales page and you could have even more traffic hitting your page. Quotes also come in a separate text file. We have also included a huge upsell package that was designed to make you even more from your buyers. It’s a built in sales funnel that is easy and simple to put in place. Best yet the upsell content comes in even more popular formats including video, so it’s sure to help you generate more income. Plus it comes with even marketing material to promote your new product. Videos – 10 professional MP4 video’s that covers the same content in the ebook is your ready to profit from digital product for a hot and popular social media marketing niche. You know how many people prefer video these days, so it can be a great upsell and a way to make more from each buyer you have. And since content is so tightly related, it’s the perfect related upsell. It’s a built in sales funnel, done for you. Also being in MP4 format, you’ll know they are easy to use on your website or blog. 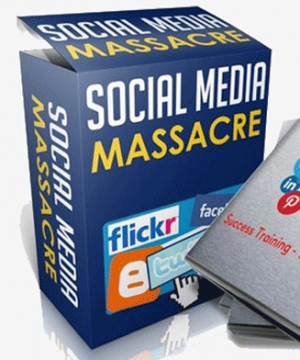 Upsell kit – Includes everything you need to sell the Linkedin Marketing Success Ebook and Videos MRR Upsell, it is your ready to profit from digital product for the huge internet marketing niche. Simply insert your payment link to the ready to use sales page and the download link on the thank you page, upload the two web pages and it’s ready to make you money all on automatic. Here’s where you could make even more from every buyer. They trusted you enough to buy the main product and since the upsell content is so related, there is a good chance many will purchase the upsell as well. 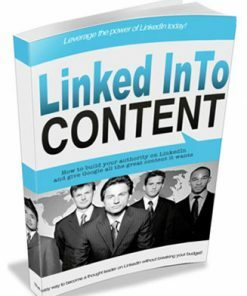 7 Day Autoresponder Series – 7 pre-written Linkedin Marketing Success Ebook and Videos MRR. Email messages in text format, just for this product. They are content based and promotional, the best of both worlds and another opportunity to make some sales. Easy to customize and make them your own, then just copy and paste them into your autoresponder service and they are read to work for you 24/7 on automatic. The list alone could make you profits far in to the future. Just imagine all the related products you could promote to this type of list. 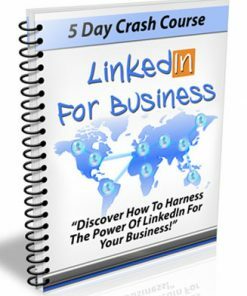 Special Report – A 9 page quality PDF report entitled, “The 5-Minute Guide To Leveraging Linkedin For Business”. It will give your new subscribers a taste of the material, leaving them wanting more and it’s the best time and place to promote your main ebook or your upsell product, or both. Being PDF, you know your subscribers won’t have any trouble enjoying and reading the content. Affiliates Toolbox Page – Make even more sales for your Linkedin Marketing Success Ebook and Videos MRR is your ready to profit from digital product, by having others do the work for you and you only have to pay them when they makes you sales. Ready to use web page to recruit affiliates that can do the promotion and selling for you. Built into the page are Email Swipes, Banners, Social Media Swipes, Forum Signatures and Email Signatures. Everything your affiliates need to promote your product. I can tell you from experience, it has more promotional content than many affiliate programs provide, so more affiliates for you. Social Media Swipe Kit – 4 text files for the Linkedin Marketing Success Ebook and Videos MRR is your ready to profit from digital product for the huge social media marketing niche. All you need to sell plus big upsell kit. promotional material on the affiliates page. Including Email Signatures, Facebook & Google Plus Posts, Forum Signatures and Twitter Tweets. So simple, just copy and paste on your social profiles and walls and you are done. Drive more traffic. P.S. – According to LinkedIn’s Marketing Solutions blog, LinkedIn is the most-used social media networking platform amongst Fortune 500 companies, proving the point that LinkedIn is the place to go if you want to reach your ideal customers. P.P.S. 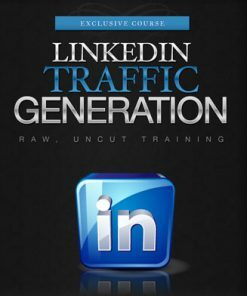 – You don’t need a Ph.D. to learn how to utilize LinkedIn to generate more leads and dramatically increase your sales. 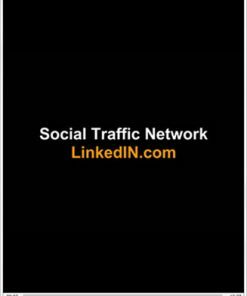 With my newest guide on how to obtain LinkedIn success, you can learn how to leverage the most powerful professional networking platform for businesses to find more leads. 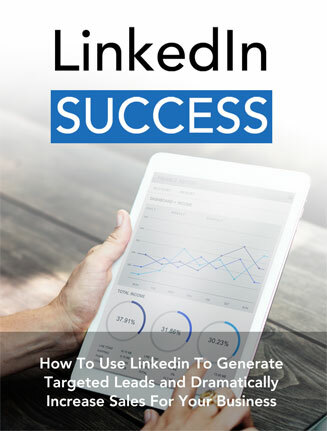 If you want to learn everything you can about how to utilize LinkedIn for marketing your business, then you have to take advantage of this offer and grab your copy of LinkedIn Success: How to Use LinkedIn to Generate Targeted Leads and Dramatically Increase Sales for Your Business today.